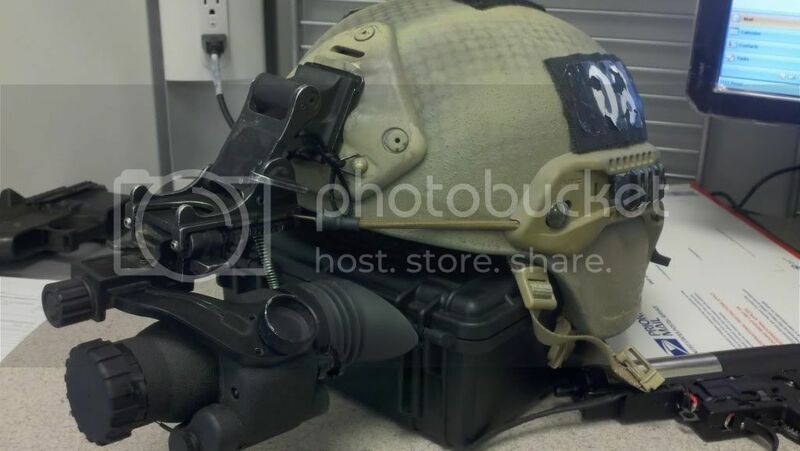 What exactly does the bungie have to do with the NVGs though? I need a camera that isn't built into my phone. I will try to post my Wasatch, once I get all my patches back from a friend I lent them to. Last edited by Phil; 05-27-2011 at 11:57 AM. I'll only believe you when you post of picture of you in a banana suit wearing them whilst playing soccer. Give me a banana suit, and a soccer ball. Picture is clearly taken in ZShot...obviously not a photoshop. Yea, definitely not a shoop. I bought him burgers and ice cream because he could not afford them after this. In airsoft, today is always a good day to die. Don't forget the heebs and burgers. Geez I just wanted to see phil in a Banana Suit with NVGs on..
Last edited by Pericles; 06-01-2011 at 05:27 PM. Are those regular shoes or hiking boots? Or boots of any kind, I can't tell. They are an old pair of Skechers hiking boots. Whats the pouch on the far left? 100rd SAW pouch? Last edited by slim. ; 06-06-2011 at 09:36 PM. My seal Kit. 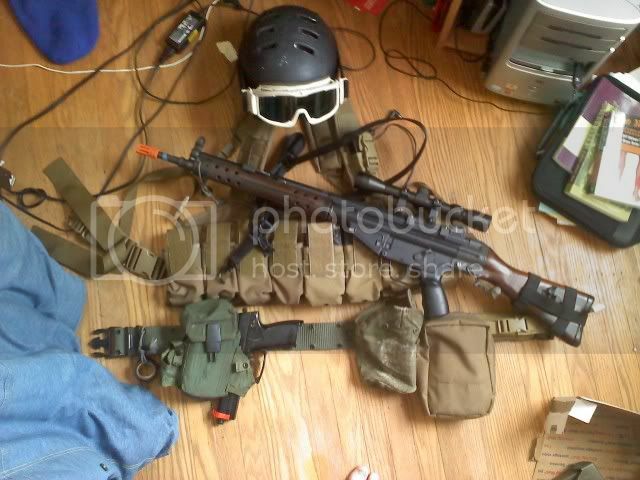 Still need to get the small stuff but the main load out is done. Looks great, I would say get dirty though. Yes I got them custom done. After a 24 hour event i went to the next day, they were pretty dirty.